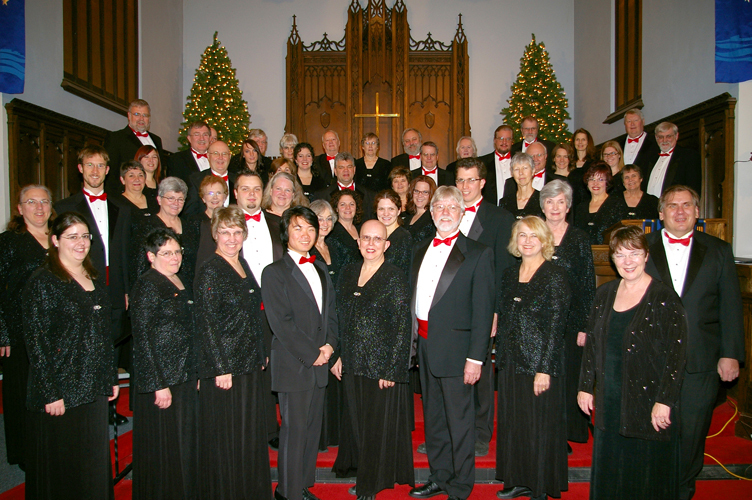 The Bemidji Chorale under the direction of Patricia Mason and accompanied by Wayne Hoff will give their 33rd Annual Christmas Concert on Sunday, Dec. 4, 2011 at 3PM and again at 7PM at First Lutheran Church on the corner of Bemidji Ave. and 9th Street in Bemidji. This year’s concert will begin with literature celebrating the bounty of the harvest and the passage into winter. Arrangements of “Autumn Leaves”, “A ‘Soalin’ “, and ” The Road Home” by Stephen Paulus will lead the listener into more familiar carols of the season. The organ will be featured in several pieces played by Wayne Hoff. He will accompany the Chorale in “Praise Ye The Lord” by John Rutter and a complex arrangement of “Joy to the World” arranged by Frank Kuykendall. The variety of the programming is designed to include “Something for everyone!” The community is cordially invited to begin the 2011 Christmas season with music by the Bemidji Chorale. Admission is free although donations to the Chorale will be gladly accepted. Coffee and cookies will be served afterwards. Next postThis Thursday: Grant Writing Workshop in our R2AC Office!